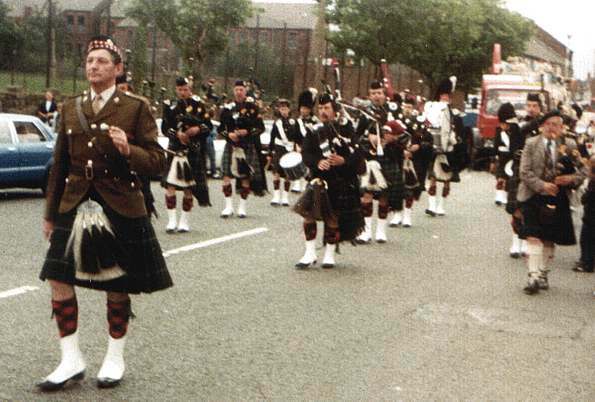 The band was formed in 1973 under its original name of the Wallasey Pipe Band and brought together several ex-members of the 1st Battalion the Liverpool Scottish along with several other pipers and drummers in the area. The inaugural meeting took place in the Stone Manganese Social Club in Wallasey. 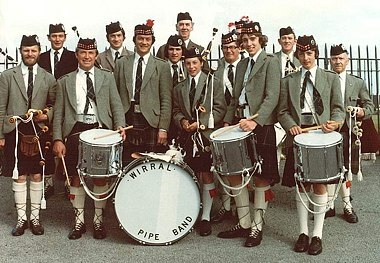 The original venue for the band rehearsals was Riverside Primary School in Brighton Street, Wallasey. 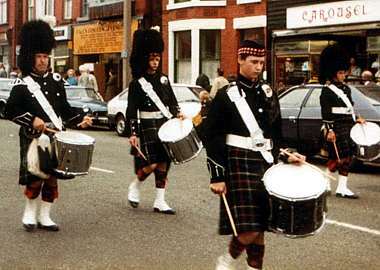 Later the band moved to Heswall British Legion. After several years it moved to Moreton where it was given premises on the Cadbury's factory site. 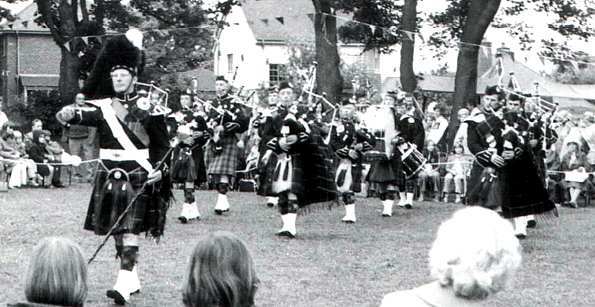 Finally the band moved to its present home in Maryland Lane, Moreton. 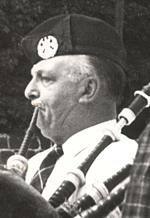 Ted Humphries played an integral part in forming the band and was its first Pipe Major. 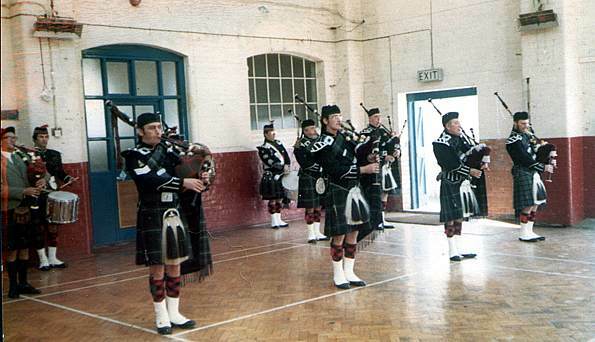 He learned his piping from Pipe Major Evan MacRae who was at that time Pipe Major of the Liverpool Scottish. 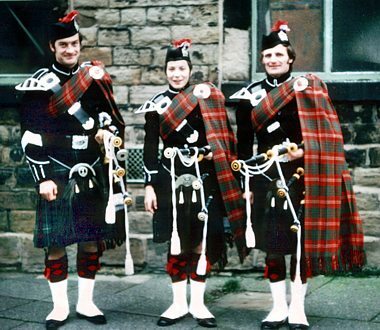 By 1974 the band consisted of over 30 members and began to take on their first engagements. 40 years on and the band is still going strong. They still meet every Wednesday evening, continuing their progression as musicians and as a band. 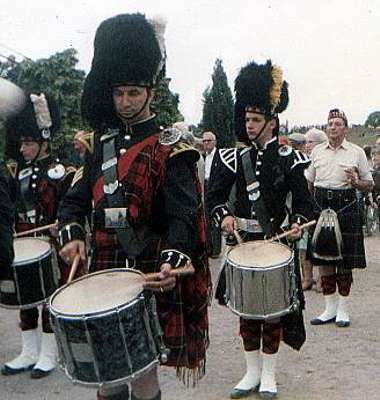 Every year they provide a popular source of entertainment at carnivals and fetes and are also regularly called upon to play for occasions of remembrance by the Royal British Legion and other Army and Navy Associations. 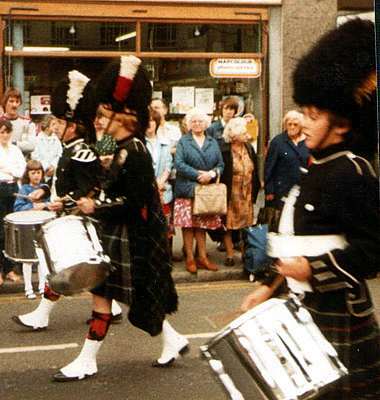 The band has always, throughout its history, turned out for a parade on Armistice Day. 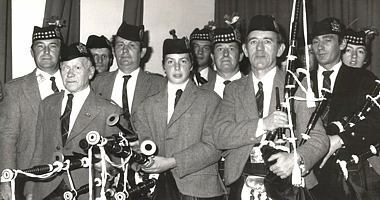 They are also often called upon to supply a piper, small group, miniband or the full band to provide a very special touch at a wedding, or to play haunting tunes of respect and remembrance at funerals. We are always very popular on Burns Night, St Andrews and New Year's Eve. Anyone who is keen to learn is welcome at the weekly meetings and membership ranges from young children to adults of all ages, backgrounds and abilities. Early 1970s. 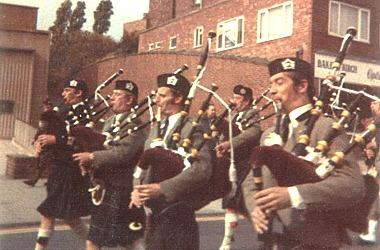 Left to right - Keith Seddon, Ken Milne, Geoff Williams, Chris Eyre, Steve Eyre, Albert Krawinkle, Dain Dunnet, Gary Williams, Harry Smith, Gary Jenkins, John Jenkins, ... Jenkins, Dave Renton. 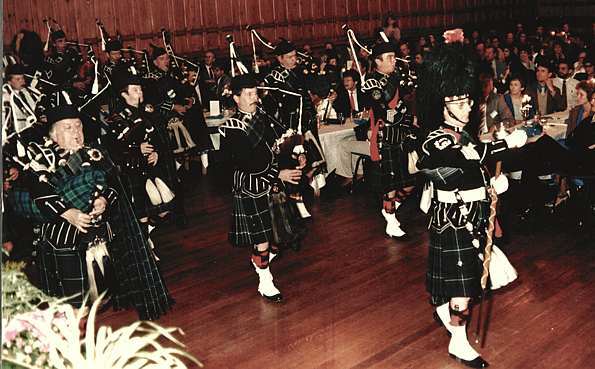 Hesketh Hall, early 1970s. 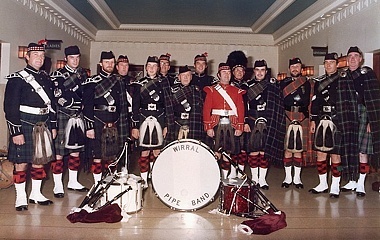 From left to right: Geoff Williams, Dave Renton, Keith Seddon, Kenny MacKenzie, Gary Williams, Steve Eyre, Harry Smith, John Jenkins, Ken Milne, Gary Jenkins.